Did you know that Palinka, the traditional Hungarian fruit brandy is made with rose hips. Rose hips are also the central ingredient of cockta, the fruity-tasting national soft drink of Slovenia. While foraging itself has its own charm, quick research reveals that rose hips are one of the richest plant sources for Vitamin C. They contain 50% more vitamin C than oranges and a single tablespoon of pulp gives an adult more than the recommended daily allowance of 60 mg. Since they contain a variety of antioxidants many consider rose hips as a cancer preventative food. These antioxidants are also known to prevent cardiovascular disease. 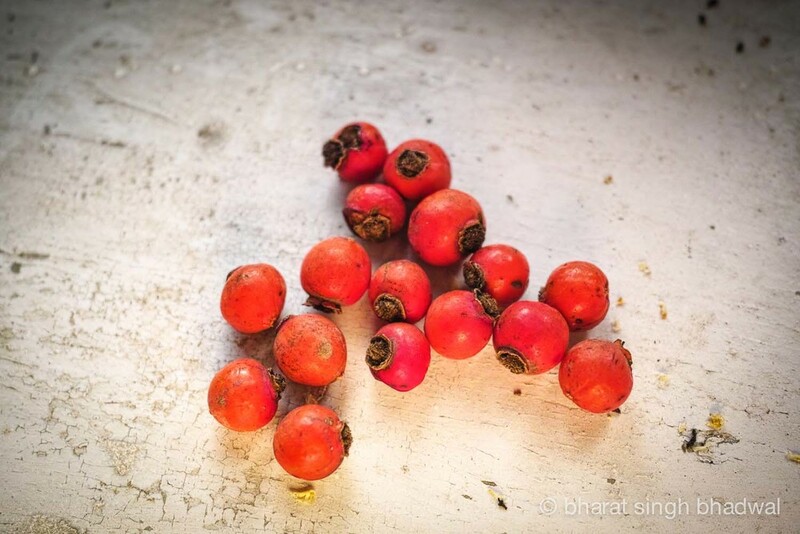 A trekker can turn rose hips into a fragrant floral brew that helps keep cold away and since all the ingredients are foraged, it doesn’t cost a single paisa. So don't just take the time to stop and smell the roses, take a bit more time and eat the fruit too! Drying rose hips in the sun. Wait till get wrinkly and leathery. Ready to start chopping rose hips. 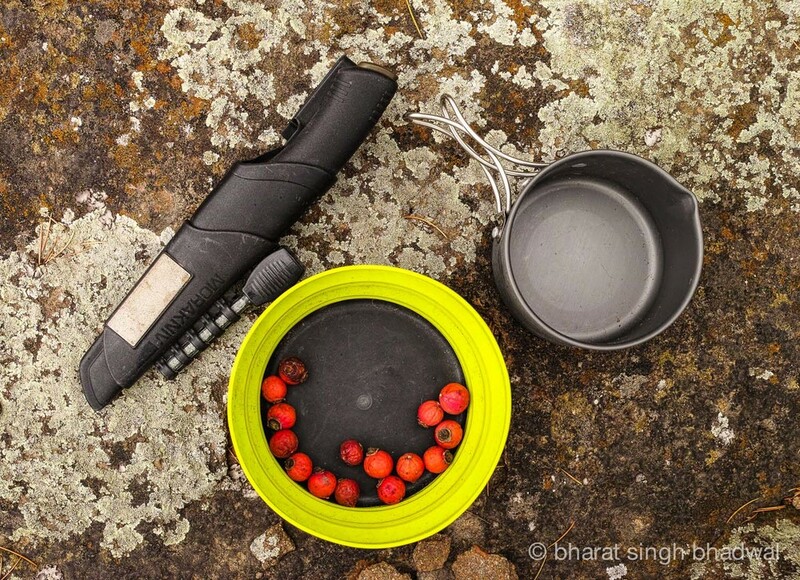 Chopping rose hips on a Sea to Summit bowl that doubles as a chopping board. Very Handy. Chopped rose hips, rose petals and mint. Ingradients all ready. 10 minute infusion of boiling water and ingredients. Rose hip tea. Serve piping hot. Looking for more things to do with rose hips? Read this. Let us know your experiences with rose hip tea and if you have a favourite twist to this recipe.